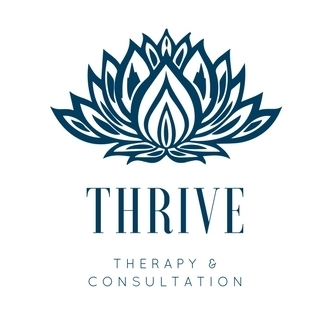 At Thrive, our registered psychotherapists provide excellent services that are compassionate, strengths-based and client-centered. Contact us for a consultation with the therapist you'd like to meet! Bethany Zelent recently graduated from her Masters of Counselling with Athabasca University, emphasizing healing from childhood trauma and working through existential issues. She incorporates psychoeducation, developing self-awareness and solution-focused techniques to help you find your passion, process negative experiences and cope with overwhelming emotions. Bethany focuses on intentional living, enjoying life's journey and learning to be present in each moment. Wherever you are in life, it is the right time to try something new. Commit to yourself to become yourself, the most authentic version of you. Whether you're ready to change or simply thinking about change, the first step is the right step. The word THRIVE was chosen to focus on the "more" of life. We so often move through life mindlessly (like driving home from work without knowing how you got home!) and can miss out on life's potential. The focus of Thrive is to create opportunities for you to be in touch with your authenticity, so you can say "yes" to what life has to offer. The image of the louts flower became significant during a guided meditation practice. The theme was strength and authenticity, with the lotus flower symbolizing both characteristics. The phrase "rooted and free" arose during the practice and resonated with the importance of being grounded in the authentic self. The lotus flower shows the importance of knowing our true selves, with that as the safe foundation to explore, take risks and become truly engaged with others and the world around us. Lifelong learning is fundamental to healthy development so invest in your future today. Discover yourself in new ways, learn about intimacy, boundaries, self-worth and what makes us tick. Workshops are available for organizations, groups or individuals.